Well, frankly, you don’t—doing so is an interruption and it can take time. The process of updating Java the last time I did it took nearly five minutes and don’t even get me started on iTunes—that’s an even lengthier ordeal. These are only a couple examples, but in reality it can seem as if you’re constantly being prodded to update software on your computer. It’s not that Adobe, Apple and the like are trying to be a pain, they just want to protect you. 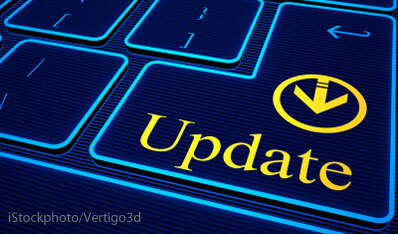 Updates contain important changes to improve the performance, stability and security of the applications that run on your computer. Installing them ensures that your software continues to run safely and efficiently. Keep in mind that many web exploits look for outdated software with unpatched security flaws. This especially holds true for operating system updates. If Microsoft and Apple say they're recommended, not tagged as optional, you should definitely install them. Even the optional updates are a good idea. In September, Microsoft released a security advisory regarding a vulnerability in Internet Explorer versions 6 through 9. “Just visiting a compromised website with a vulnerable version of Internet Explorer can allow attackers to access to your computer and install software that steals your personal information. Being infected like this is known as a drive-by download. The software that infects computers through this vulnerability collects information, including user names and passwords for various sites, including bank and email accounts,” reports CITES Security. Google Chrome, Microsoft Internet Explorer and Mozilla Firefox all default to automatically update themselves on your machine, although all three let you opt out of automatic updates. Obviously, they don’t recommend doing so. I spoke with Roel Schouwenberg, a senior anti-virus researcher for the computer security firm Kaspersky Lab, about the subject. He said the unpatched software most targeted by web exploits are Java (56%), Adobe Acrobat Reader (25%), Windows and Internet Explorer (4%), Adobe Flash (3%), Android Root (2%) and other (11%). CD: How do people know which updates they need to be doing? CD: So if people use security software to help, would those updates happen in the background when they’re sleeping or otherwise not using their computer? A lot of people don’t like waiting around for an update when they’re using their machine. RS: I think in pretty much all cases you still need to do something to some extent--it varies. But it’s not a fully automated process in most cases. RS: Well, at that point you’re at significant risk of infection and even though there are lots of other protection methods out there [and] we can do a lot of interesting things, nothing beats an actual software update. A software update fixes the vulnerability, plugs the hole. there is a check box on the updates to say whether you want to install chrome or tool bars or not; so just uncheck the box or do not check it, which ever the case is. And most of the time you are asked if you want to reboot now or later. Click later if you are in the middle of something. I have been a PC woman for more than 20, but an Apple oPad girl for maybe 4 months. In a teaspoon, laptop went to Computer Heaven, College daughter traded me her less than year iPad for a brand spanking new one, & so my love affair began. I read blogs, online info for new tricks, subscribed to an About.com newsletter on iPads, listen to my brilliant daughter tell how wonderful Apple was, how terrific their software is, about the World of Apps, & there was barely nothing I couldn’t do with the little Genie I held in my hands. Thursday, I received notice of Updates, & as always, I clicked my little icon for the update iOS 6.0.1. Within hours, my iPad became sluggish, by the evening I could no longer text, I would tap an app, & the icon would turn grey. I contacted Apple Support, I was out of warranty, but since the problem occurred after my upload, a genius would help me, & help he did, telling me Apple stood behind their software for 30 days, so if I needed help again, it must be within the 30 day time frame, or I would be charged a service charge. Within 12 hours, more problems popped up. I could no longer send emails, they sat in que in a file I did not create. I called Apple Support, but did not get a genius. I immediately referenced the case # I received the day before, but this person was more concerned about getting paid. Finally after leaving me on hold for many minutes, forcing me to listen to homicidal music, they granted me a one time service. I won’t bore you further. I lost files when they said I must hit the delete button, & do a re-do they would guide me thru. I “had” to initiate an iCloud email, which interfers with the email addy I have had for more than 22 years. My iPad will return to icon screen without notice, emails were sent out to EVERONE I have ever sent an email to in the last 22 years! I am devasted! I called Apple Corporate. They are “closed for the Thanksgiving until next “Monday! What a wonderful place to work! Download updates!? I’m terrified! DEPENDING ON WHAT VERSION OF OS X YOU ARE RUNNING SOME UPDATES ARE NOT COMPATIBLE. MAKE SURE TO CHECK BEFORE YOU UPGRADE. Thank you for telling me that Richard. But as. “Newbie”, it was not an update I sought out. How does one know what’s good? When I PC-ed, you always read reviews of new software long before it was generally available. I’ve been lead to believe that MACs & iPad are virtually Teflon, no viruses, no problems whatever, in God & Apple we trust kinda thing. Now, well, I trust in God, but just because Steve Jobs lives in the same neighborhood, doesn’t mean I have much confidence in Apple. My love affair with my iPad continues, even if it’s not up to snuff. But, next week when Apple Elite return to work, they’ll be hearing from me. Carolyn…..I may not have figured out how to stop using Internet Explorer altogether (have to use for an online class)-Hate it; but I am laughing all the way ‘til Christmas from your commentary. Sure do hope you find a resolution to your iPad woes. With the continual barrage of security threats against Adobe Reader, why use it at all? I got rid of it years ago and have been using Foxit Reader. It’s free, doesn’t attract the hackers and exploiters, and works on anything that requires Adobe Reader. It works seamlessly on my PC. I just have to remember to uncheck what it wants to add on with the install (Ask toolbar? It’s been a while since the last update). I have to agree 100% that this new IOS 6 is a bunch of cow pucky. My iPhone 4s says I MUST do it - Verizon said I should do it - so I do it - AND LOSE ALL MY SONGS AND VIDEOS on my iPhone. Seriously? When my husband did an update on iTunes a year or so ago, we could no longer download our audio books from the library onto our iPod Touches. Took 3 months for that one to get fixed. My last computer I had I never had any antivirus, and I skipped every update I could - and it lasted me over 5 years… and is still lasting for my father. Makes me wonder… Maybe I just don’t have enough “personal” stuff on my computers or I don’t visit the “wrong” websites. But, I will be honest, I am not a fan of updates - especially since some programs seem to insist on us updating… even when it has nothing to do with the product we use! Or, like this morning, when I was in a hurry to get to an e-mail, but my computer insisted on a Windows update - took almost an hour… thank goodness I could access mty e-mail on my iPhone or I would have been in a severe situation. And I have it set up so it supposedly updates in the middle of the night! Guess I have done it wrong with this Windows 8… stupid updates. Well I thought I would comment on your update situation. 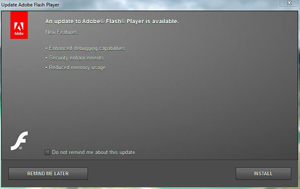 Although you set it to update in the middle of the night, it can’t actually update if its off, so it skips the update until you turn it on again. All windows are like that. If you would really like for it to update at night, than leave your computer on during the night and you will be all set. Or you can set it to wake up and update a little bit before you wake up in the morning so the computer doesn’t stay on all night. Okay Everyone, I have my own update about updating! First, I appreciate all the comments, the ideas, those who have also updated their iWhatevers, because, until today I thought my love affair with my iPad, although it continues yet, was suffering what happens to partners that live on forever - one of us was in poor health & the other needed to make adjustments. Today, I was in the middle of writing a small epic, when my iPad chose to return to the icon screen. Something I have been experiencing since the second chat with Apple Support. While I had planned to call Apple Corporate after Thanksgiving holiday, sometimes life gets in the way. Anyway, everything I had typed was gone, & my immediately response was to be pissed. My next response was to place a call to the corporate office, not speak to tech support, but for a boss, a supervisor, one who collects large paychecks! It took many minutes on hold (no homicidal background music) but eventually I got to speak with a real live person. I told her my story, my trials & tribulations, my highs & lows…& she understood me! We talked for several more minutes, exploring my options, & then I was put in touch with tech support. We made a few changes, & now I will take my iPad to an Apple store to have it reset to factory standards. I also have been promised that whatever else happens, secondary to the download of OS 6.0.1 will be taken care of. I am pleased! They were kind, understanding, clear in explaning the stuff I didn’t understand, like iCloud. It serves a great good, & I had no idea! And Julie, while it has been explained to me that iPads & iPhones are practically twins, the iCloud app is actually a backup system. Check your settings to see if backup is turned on. It was not on in my settings. Thank you all for “being there” for me! Happy Holidays! If you put iCloud on there is only one problem if you have iTunes and you order music on your Laptop or Desk Top it automatically goes to your I-POD iPhone or I-PADS that is why I have my iPhone and I-PODS turned off on iCloud. I’ll admit that I’m one of those people who tend to put things like this off. In my opinion, it can be easy to forget about that point that some upgrades are for our protection. However, when you look at it from your perspective, it makes sense why you want to keep your software updated.